The festival is put together by hundreds of people coming together to build the site, produce the show, welcome our guests and spread the word. If you'd like to be part of it all, please join in. We are currently recruiting for the Hay Festival site crew team. Positions start on 29 April and run through to 8 June 2019. Must be prepared to work in all weather conditions (PPE provided) and be prepared to muck in and do anything. Good time-keeping necessary and sense of humour required! For further information or to apply please email Georgie on Georgie@hayfestival.com with a copy of your CV or email detailing experience. For further information or to apply please email Georgie on Georgie@hayfestival.com or call on 01497 822 620. Big Event Catering Ltd are looking for smart, professional, outgoing individuals with a passion for food and great customer service. They are hiring kitchen crew and front of house personnel to join their dynamic, fun and friendly team for the Artist Restaurant, The Grove public restaurant and crew catering facilities at Hay Festival and/or other major events. They are recruiting experienced kitchen staff, baristas, bar staff and plate waiters. Full training given, excellent rates of pay, free food and a great working environment with a top team! Due to licensing legal requirements, for some positions, applicants must be 18 years of age or over. If you thrive on hard work, have stamina and a good sense of humour please email your CV to hayjobs@bigeventcatering.co.uk. The Coffee Cart Co are hiring Baristas and Team Members for their pop-ups at Hay Festival and/or other shows and festivals. They are looking for bright, bubbly individuals with superior customer service and stamina under pressure. Full training given, excellent rates of pay, free food and accommodation and friends for life! Due to licensed bar responsibilities, applicants must be 18+ years. If you feel you have what they're looking for please email your CV to Judi@coffeecartcompany.co.uk. 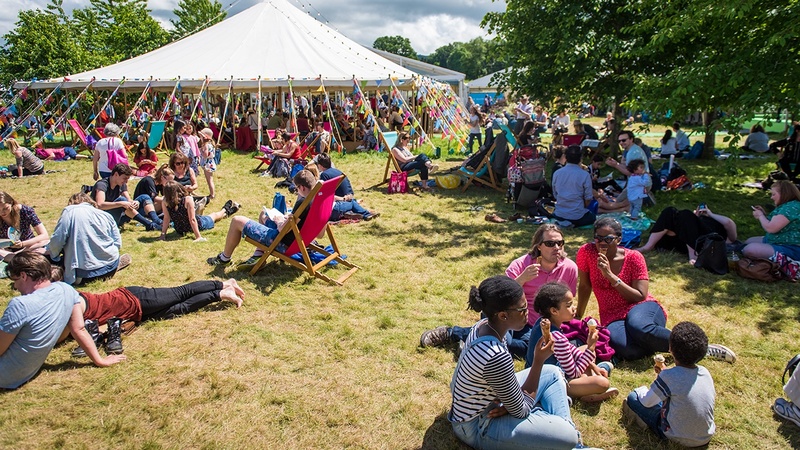 All the events at Hay Festival Wales are stewarded by teams of between four and ten. The main job is to make sure the audiences are safe and happy before, during, and after each event. Stewards work shifts of three to four hours. It’s voluntary but fun and you’ll make lots of good friends. If you're interested in helping out for 2019, please fill out this form to submit your details and availability.